Let us customize a PBIS poster showcasing the positive behavioral expectations of PBIS programs. 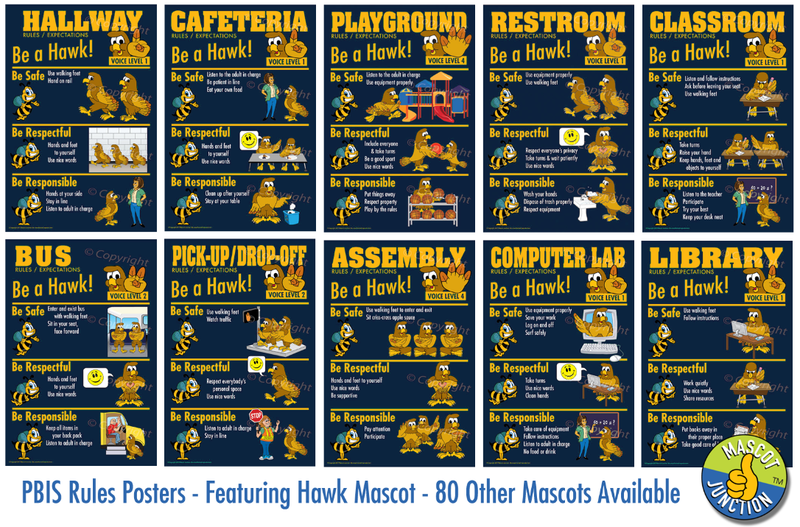 The PBIS posters are customized with your school mascot. We design, print and deliver straight to your door. Call us now for details at 816-916-1377 or email info@mascotjunction.com. 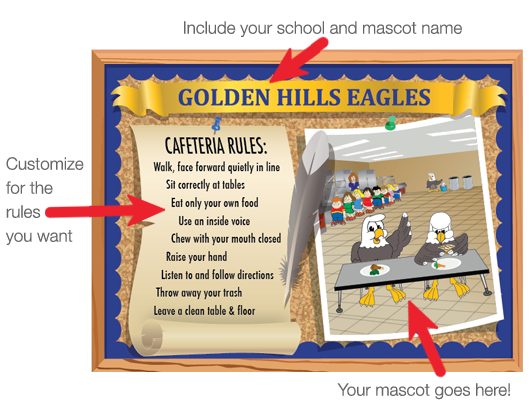 Put rules posters in different areas of your school to inform students about the behavioral expectations of your PBIS program. 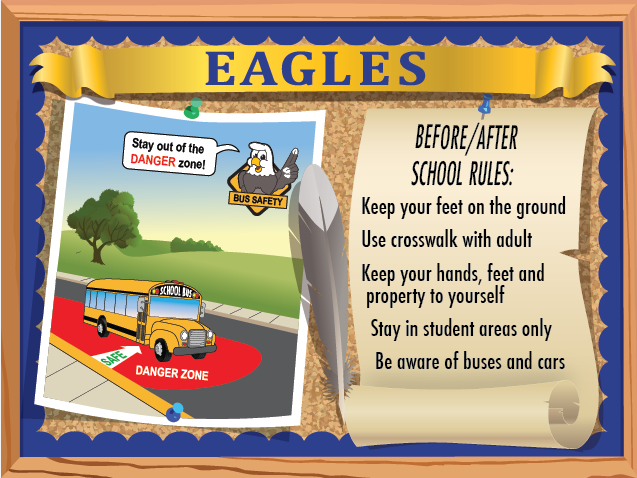 These posters can be customized with your school mascot and your PBIS rules. 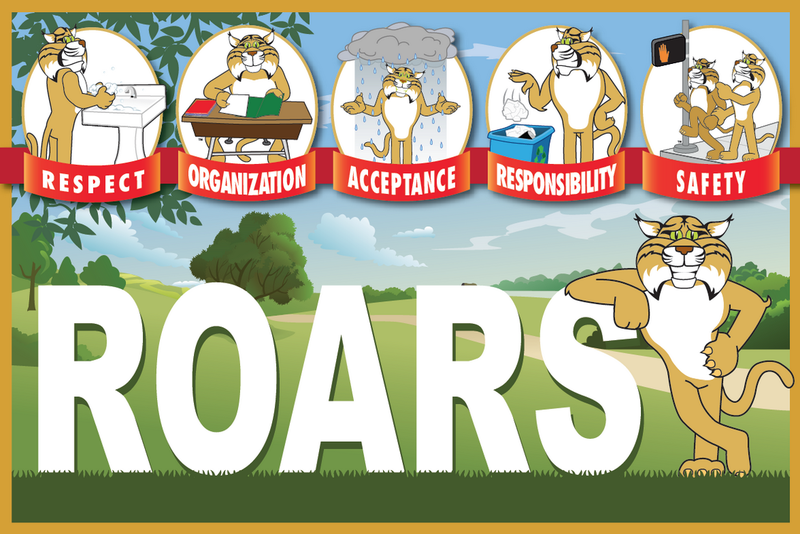 ROARS is the PBIS theme of this poster for an elementary school. 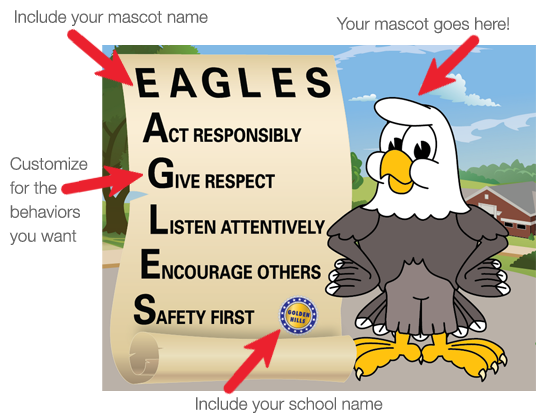 It reflects the positive expectation behaviors of respect, organization, acceptance, responsibility and safety. We can custom design a poster like this for your school featuring your mascot and theme. This large poster is used to show your schools theme. It can be hung in large common areas like the gym, entry way or office. This poster is very useful when rolling out the PBIS program in your school! 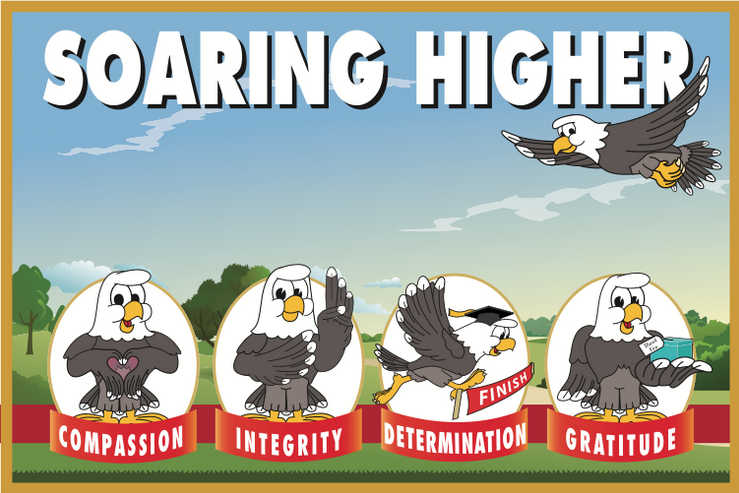 This poster is used to reinforce the PBIS theme “Soaring Higher” by an elementary school. The four behavior expectations are compassion, integrity, determination and gratitude. 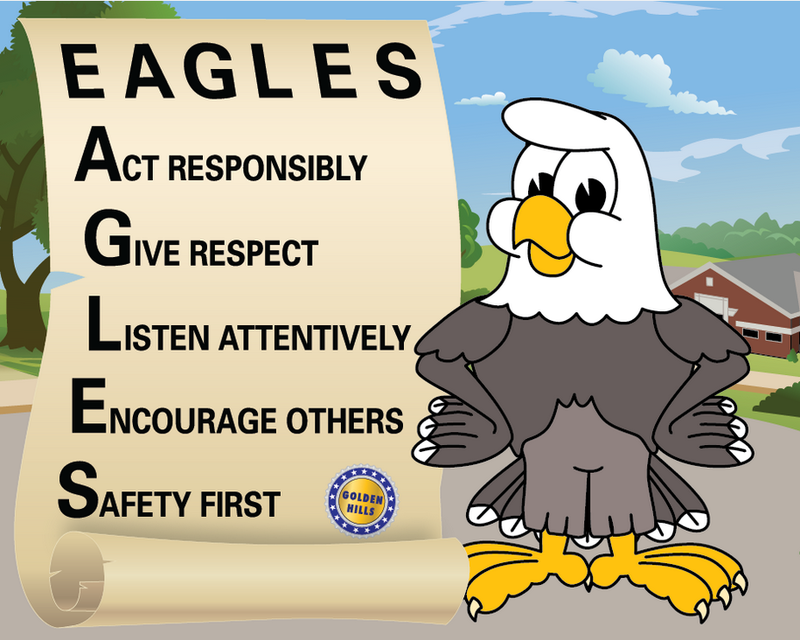 We can design a poster like this for your school, featuring your mascot, theme and targeted positive behaviors. 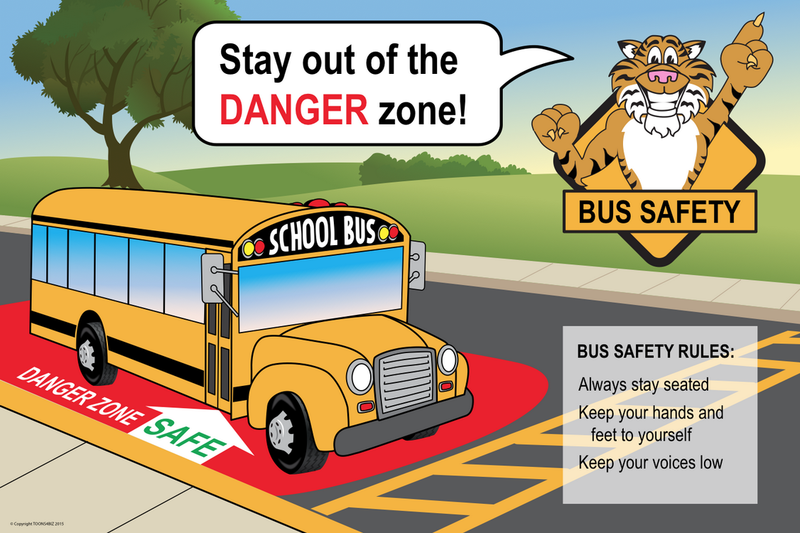 We can put your school mascot on this bus safety poster. Give us the rules for your PBIS program and we’ll incorporate them into the design. 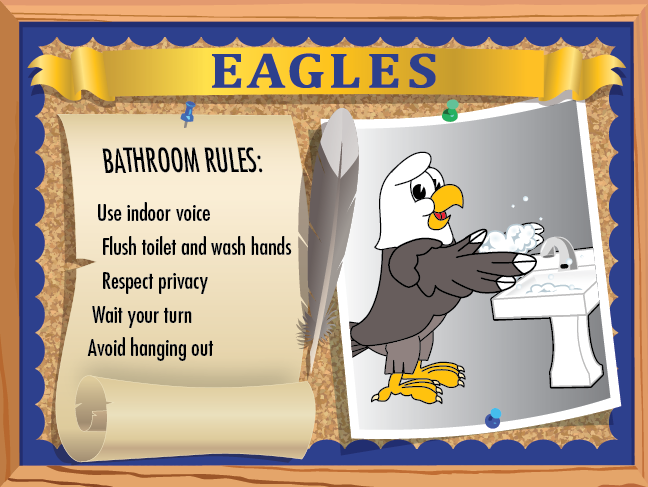 The bathroom poster lists common bathroom rules but can be customized specifically for your school. This poster lists rules for when children are arriving and leaving school. This poster was customized to be hung up for everyone to see in the cafeteria. 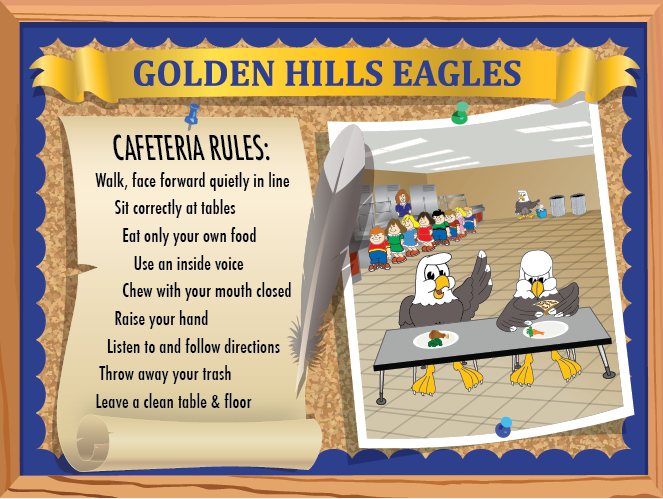 It shows the Eagle following the rules and enjoying their healthy lunches. 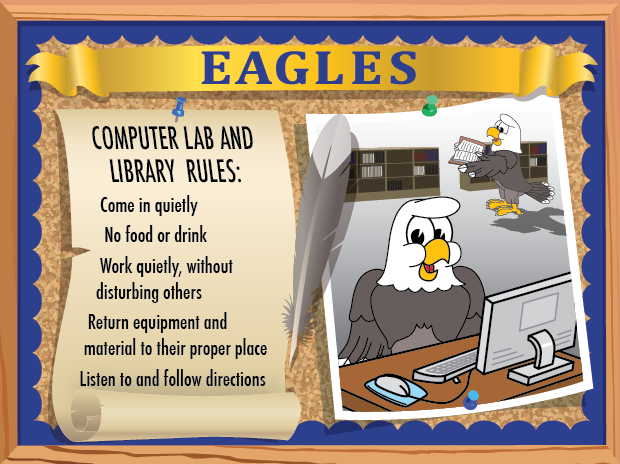 This poster can be used in both the library and computer lab. 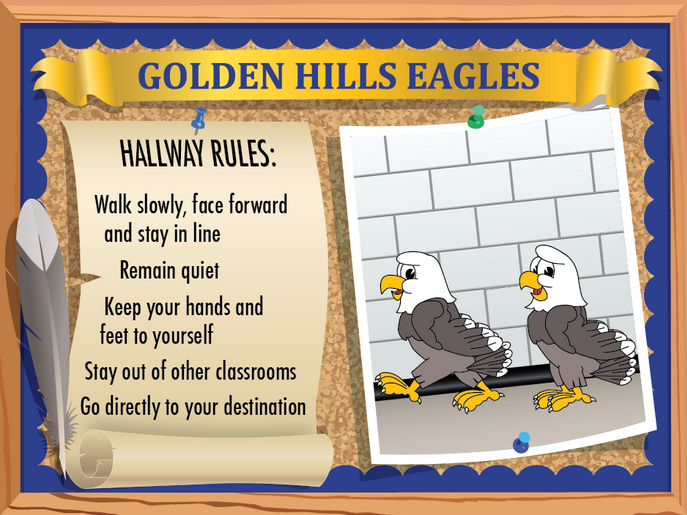 This hallway poster was customized for a school with their name, school colors and specific school rules. 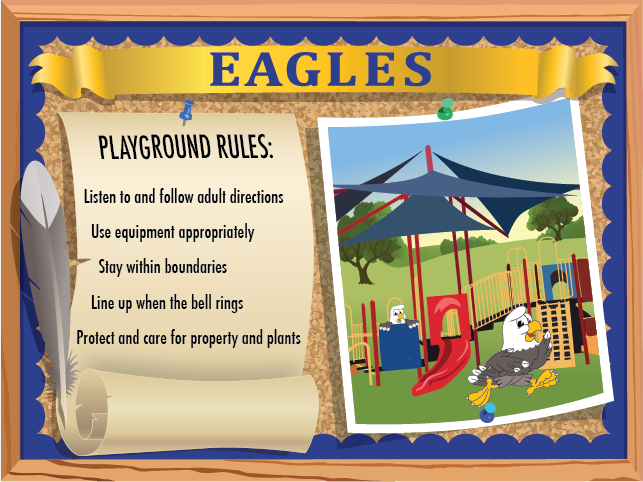 This playground rules poster lists generic rules to follow on the playground but can be customized for you school. Contact us to find out how!